Just yesterday I was recording a podcast with my business coach and good friend Chris Harder for the weekly FITposium podcast. Over the course of about an hour we discussed a blitzkrieg of topics from our fears leading to inaction to our limiting mindsets, to daily habits and rituals that can shift our energy, to impact of those you surround yourself with. SIDE NOTE: It is an interview that should not be missed if you are serious about growing your brand in the fitness industry (which if you are reading this, then you already are). Be sure to subscribe to the FITposium podcast by heading over to the Apple Podcast App, or iTunes, or Stitcher, or Google Play Music or even FITposium.com – needless to say, it is easy to find. It was exactly one year ago (to the date) that I first connected with Chris. I was listening to his podcast, For the Love of Money, and he was talking about the launch of his own mastermind to bring together two dozen entrepreneurs to connect and go somewhere together as a tribe. I immediately applied and within a few days was approved and signing up. Over the following 12 months everything began to change. Not just my business. It was how I looked at my business. It was how I took action. It was the habits I set for myself. It was fundamentally how I looked at the goals I set for myself. So many of us are not achieving beyond a certain level or limit because we never stop to think how we could actually do that. Take making 7 figures as an example. Instead of thinking that is too lofty of a goal or that you would have no clue how to even begin, reframe it by asking where you could specifically make that seven figures and where the revenue would come from and how. What is the thing that gets us to push beyond what we know or what we are comfortable with? When I talk to those in the industry who are struggling, I find out fairly quickly that they are surrounding themselves with others who are either struggling or are imposing and passing on their fears and limiting mindsets. Think about how our parents, who love us (hopefully) try to protect us by minimizing our dreams. Think about how our bosses, friends and colleagues warn us to stay in our lane and to not take too many risks. Imagine if everyone you surrounded yourself with was more apt to taking risks, more generous with their time and resources and more willing to challenge you to push beyond what you are doing. That company would shift everything for you. It would also, added bonus, shift how creative you get in achieving your own goals. No one wants to be the person at the table who is not trying the hardest. Is it harsh to suggest that you need to dump those who keep you limited? Yes, it is harsh, but it is exactly what you need to do. At a minimum, you need to set boundaries with those in your life so they are not inflicting their own fears onto you. But that is only the first half of what you need to do. The second half is you need to surround yourself with that new, high level, tribe. You could do what I did, which is join a mastermind. We were so inspired by my changes that we started our own called the Get Amped Mastermind, that sold out for 2019 in only 3 weeks. We are now taking applications for those wanting to be on the waiting list for our 2020 group. You could also hire a coach to help push and keep you accountable, something I am also available to help you with if you contact me here. Or you can form a group on your own to keep you accountable. Imagine how different 2019 can be if you changed your circle. Make it yours. Be accountable. Own your success. Maybe seven or eight years ago I was presenting at a seminar for fitness models and actors on website strategy, analytics and search engine optimization – back when people actually cared about SEO. There were about 50 people in the room and I had rehearsed my presentation probably two dozen times. I was ready and prepared for almost anything. The one thing I could not have accounted for (or even fathomed) as the a-hole who sat in the front row with the intention of derailing and ruining my presentation. During my entire one-hour seminar he glared at me intently with his arms crossed and the biggest “screw you” look plastered across his forehead. As I spoke he shook his head in disagreement. As I made points he sighed. As I tried to make crowd-warming jokes he rolled his eyes. Right in the middle of sentences he would cut me off to interject a question with the direct intention of trying to prove to everyone listening that he knew more than me about the topic I was presenting about. First off, I think we should all get on the same page and agree this pathetic excuse for a man is of the lowest level of diseased riddled crap scraped from that basin that mobile bathrooms dump out to. My apologies to any pieces of crap who were offended by that reference. About a week later I found out from the event organizer that this guy only attended the event as a guest of his girlfriend and was not happy about the idea of her being at a conference where she could learn to be successful enough on her own so he set himself out on a mission to attempt to crush and embarrass all those presenting at the event. Apparently he did this to every single presenter. Why the event organizers did not ask him to leave is another matter entirely. Regardless, I think we all agree that this scumbag is part of the worst order. Despite that, I have to admit something. I made a far greater error. Not only did I allow this festering boil to get under my skin – I actually allowed it to impact the overall presentation. I was off my game and the other 49 people in the room were robbed of my best abilities. But here is the grander problem that we all face. Each of us have “that guy” (or girl) in our minds every single time we go to do something new. We think about that person, whether they are real or not, before we release a blog, post a podcast, write an Instagram post or get up on stage to give a presentation. The result is we shave off the unique edges of our brand so as not to upset that person. We tailor our work, temper down our persona so as not to even stand out. What happens is we then are no good to anyone because we have nothing that defines us. Our edges are what define us. We must never shave those down to appease someone who does not matter. Read that again, that person does not matter. So you have to decide who matters for you and your business. Who truly matters? Who are you truly trying to connect with? If someone other than that person is unhappy with what you are doing – then who cares? Imagine that, a question being responsible for $37,000 in revenue. True story and I was the person that the question was asked to. The question was asked to me after this individual gave me some consulting over the course of an hour. So for an hour this person is giving me their time, but more importantly, they are giving me value. After the conversation came the question. Here it is, pay close attention to the wording. The question, worded the way it was, merited that I give a direct answer. I said actually two names. The follow up request was “can you send an email to introduce us?” A direct inquiry for me to take a very specific action. There was nothing vague or passive about the question and subsequent request. It was very intentional with a purpose behind each word. Those two names, who I referred to this individual, went on to hire them for a total gross revenue of $20,000. A few weeks later I thought of another person who I referred and they paid a total of $17,000 for the individual’s services. When you request things, are you asking passively or can you be more direct and intentional? Who could you refer me to? 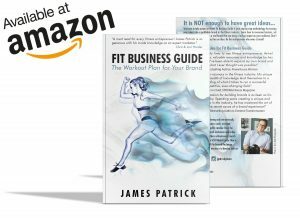 I am thrilled to announce the release of my new printed book, FIT BUSINESS GUIDE: The Workout Plan for Your Brand! A year in the making, this new book is your workout plan to get your brand in shape. This step-by-step book will guide you from the idea phase to launch and beyond as you scale your business in the health and fitness industry. Included in the book are details on how to how to overcome roadblocks, successfully brand your concept, finalize the business formation, develop your client profile, construct a marketing plan that works, use social media to grow your visibility, the art of selling and how to get the attention of the media. It is not enough to just have a great idea, you must take action on it in order to succeed. Fit Business Guide will give you the information you need to move forward confidently as you turn your passion into a profitable profession. Get yours today on AMAZON!